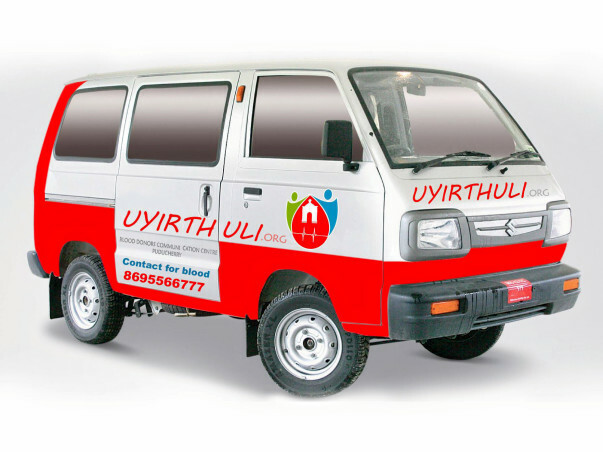 Uyirthuli Blood Donors Communication Centre was started in 28/02/2015. 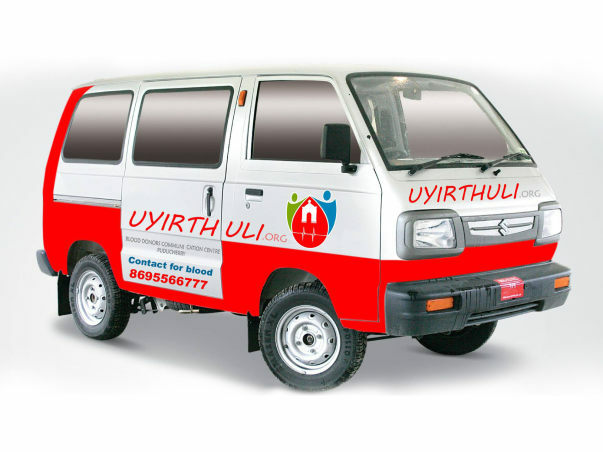 The main goal of the Uyirthuli Team is to connect the people who need blood and the people who are willing to donate blood. It works on the social media platform like WhatsApp & Facebook and it gives information about the patient who need blood to the donors and engages the donor in blood donation to the person in need. It has been actively involved in blood donation process for past 33 months and it is providing a much needed 24×7 service for the people. The people of Puducherry and its surroundings of Tamilnadu, particularly the rural people who need blood are greatly benefited. We are consistently campaigning to raise awareness among the people about blood donation. And we also felicitate the Blood donors during the annual functions of Uyirthuli. Till date 3720 units of blood have been donated to the beneficiaries through Uyirthuli. Currently Uyirthuli team is planning to arrange a Blood Donor’s Ambulance for emergency purpose and to overcome the difficulties faced the donor in reaching the hospital on time. For this purpose Uyirthuli team need your support, as the estimated cost of the ambulance was Rs.3, 60,575. As Uyirthuli is a non-profit organization and it being run by the youths we find it difficult to meet this expenses. 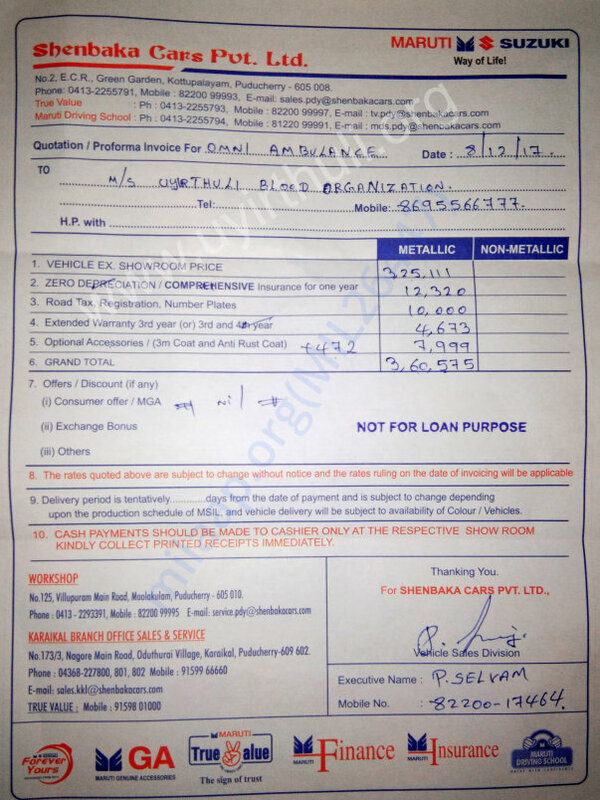 We request you supporters to support us by contributing the amount which is affordable for you. So please grant your help for us to run Uyirthuli Successfully.